Indonesia is a fascinating country in every sense of the word. Rich in culture, natural beauty and biodiversity. Home to the weird, the wacky and the wonderful. And just when you think you’ve seen it all, think again. 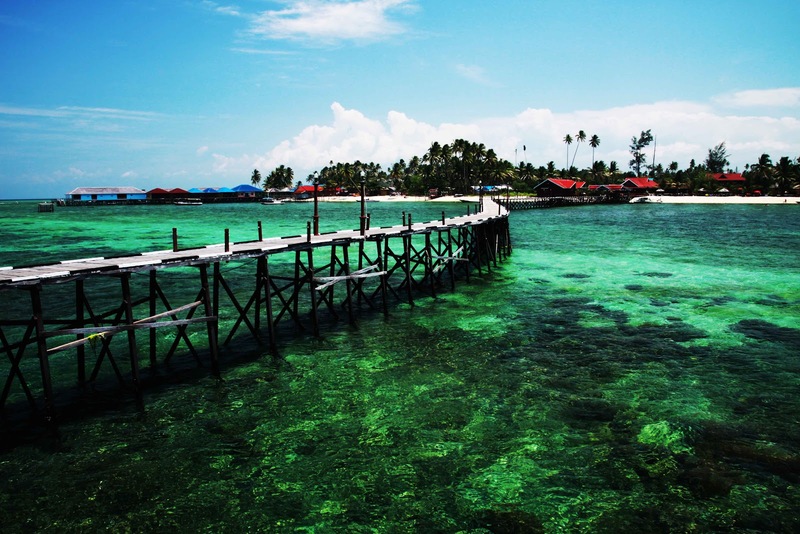 Kakaban island is a large coral atoll in the Derawan Archipelago in the district of Berau, off the east coast of East Kalimantan, covering 774 hectares of uninhabited terrain. It’s most distinctive feature is a huge land-locked lake, which makes up almost two thirds of the island. This brackish lake is alive with several species of endemic marine life, including millions of stingless jellyfish that only exist in one other place on the planet. The island is shrouded in a tangle of dense mangrove forests, right down to where the water meets the earth. There are very few sections of beach, as most of the Kakaban’scircumference ends in a rocky wall of sheer limestone cliffs, some sections dropping hundreds of feet to the choppy waves below. 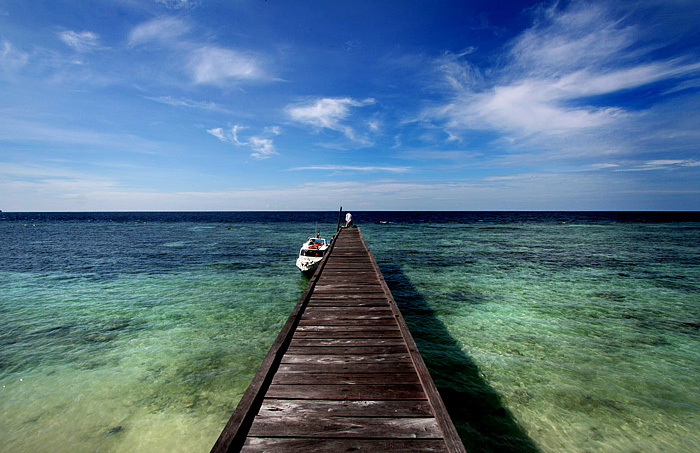 Kakaban Island is one of 31 islands belonging to the Derawan archipelago, which include Sangalaki, Maratua and Derawan. Kakaban was elevated through years of geological pressure, which eventually sealed off what was once a lagoon, creating the Kakaban Lake. “Kakaban” comes from a word in the local dialect meaning “hug,” because of the way the 9-shaped island “hugs” the lake in the center. Kakabanlake has been declared a government nature reserve, and has been nominated as a World Heritage Zone. The ecosystem of the lake is very similar to that of the open sea, but with a twist! The trapped sea-water diluted with rain water and ground water creates a unique habitat that has caused the creatures trapped inside to evolve! The lake has warm, brackish water of 11 to 17 meters in depth, and is carpeted in marine green algae. 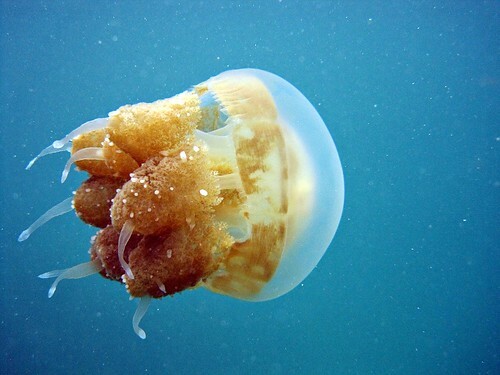 Four species of jellyfish criss-cross the waters of Kakaban lake, but unlike their counterparts beyond the coral wall, the lake-jellies have no natural predators, resulting in the evolution of the species to no longer need their venom as self-defence. Other evolutionary processes have also taken place in this lake: The box jellyfish, normally one of the deadliest creatures in the world, in addition to losing its sting, has shrunk to barely a third its normal size. The Spotted Jellyfish is no longer spotted, and the Cassiopeia swims upside down, with its tentacles to the surface. This is so the sun may shine on its algae-covered tentacles, creating a photosynthetic reaction and thus producing food! Meanwhile, the white anemone has evolved into a passive jellyfish predator.Eight species of fish also dwell in this biological paradise, as well as sea cucumbers, sponges, crabs, tunicates, snakes, and orange purple and yellow clams. Marine scientists and geologists have long puzzled over the phenomena of the survival of plant and animal life in so isolated an environment, but life will do what life does best. Adapt. “Jellyfish Lake,” on Palau Island in Micronesia, is the only similar environment on Earth, housing two species of stingless jellyfish. This makes Kakaban lake not only the largest, but also the most diverse brackish lake in the world.